We are pleased to partner with Trimble Forestry to offer you a Free Seven Day Trial to Terrain Navigator Pro – the award-winning mapping software widely used by foresters throughout the U.S. Try it free today! 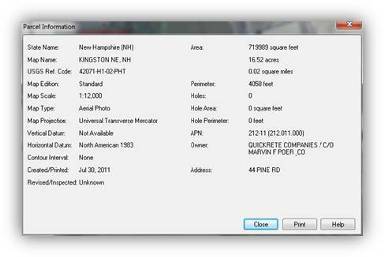 Start mapping in minutes – TNP makes mapping easy! Terrain Navigator Pro is a robust mapping platform combining built-in topographic maps and aerial photos with easy-to-use mapping tools. 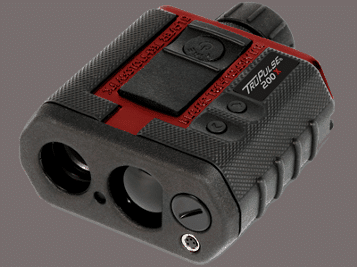 The TruPulse 360B is a laser rangefinder that measures Slope Distance, Inclination (% Slope) and Azimuth, Calculates Horizontal Distance, Vertical Distance as well as Height and Missing Line Values. 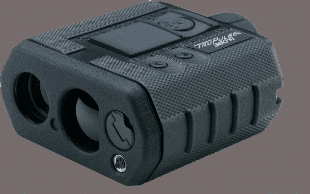 The TruPulse 360R is a rugged and waterproof laser rangefinder that measures Slope Distance, Inclination (% Slope) and Azimuth, Calculates Horizontal Distance, Vertical Distance as well as Height and Missing Line Values. 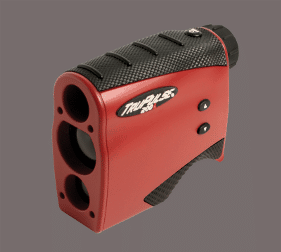 The TruPulse 200X model measures distances and heights and is available in LTI red. It comes standard with a serial port. offers in-scope data display with 7x power optics and runs on 1 CR123A battery. The TruPulse 200L model measures distances and heights and is available in LTI red. It offers in-scope data display with 4x power optics and run on 1 CR123a battery. 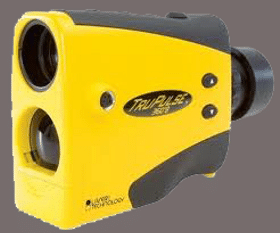 The TruPulse 200 model measures distances and heights and is only available in yellow and grey. It comes standard with a serial port, offers in-scope data display with 7x power optics and runs on 2 AA batteries. The VL5 is a rugged and reliable device that works for any height, distance, and angle you need to know. In undergrowth with poor sighting – use the ultrasound. For very short and very long distances in open terrain – work with laser. The VL5 now features the ability to store data and calculate average stand height make it even more useful in your survey work. The Vertex IV ultrasound instrument system is a true ‘work horse’ that will hand you accurate and reliable measurement results in most forest terrains and conditions. This is also our best selling instrument and the professional foresters’ preference for accurate height, distance and horizontal distance measuring. The Vertex IV is delivered with a lanyard and in an aluminum safety and transport case. Ultrasound technology is perfect to use in the forest, always seeking the shortest way around obstacles such as branches and tree stems. The Vertex instrument operates with the Transponder placed beside the tree, on the stem, or in the center of a sample plot for circular sample plot measuring work. By placing the transponder at plot center, you are able to to quickly and accurately determine if the object is “in” the plot. By allowing you to work the plot from the outside in, your production per plot is greatly increased not to mention eliminating the error of misjudging “borderline” trees. Real Time Inventory (RTI) System, is the first and only fully integrated portable Global Positioning System (GPS), Geographic Information System (GIS) and Forestry Field Inventory solution on the market. 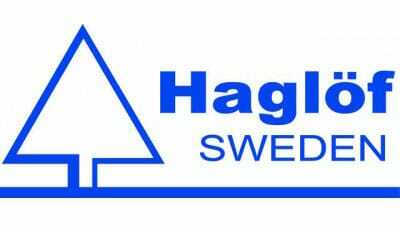 RTI is the integration between Haglof’s field inventory software, TCruise, and Trimble’s GPS data collection/verification software, SOLOForest. It is the only forestry solution that allows you to collect both GPS and forest inventory data on the same data collector and integrate the two in the field. 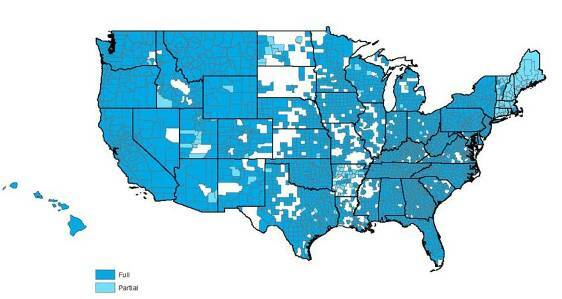 Creating a plot with RTI is extremely fast and simple. Here are all the steps you’ll need. Create a Stand Boundary. This can be done in the office or field by digitizing on a photo, or by using our GPS systems to traverse the stand in question. Create a Cruise Grid. In the office or field, you can specify the grid spacing and orientation and even begin the grid 1/2 the distance over and up from a known corner. Navigate a Plot. Select a plot you want to go to and use GPS to navigate there. When you get within a specified distance from the plot center, SOLOForest will automatically alert you that you are near plot center and ask you if you want to collect data with TCruise. Enter Plot Data. If you answer “YES”, a link will be established between SOLOForest and TCruise, the plot ID, Lat./Long., Stratum and Cruises will be sent to TCruise, and you will be automatically “switched” to TCruise. You can then enter Plot Level Info and go to the data entry screen to enter tree data. Enter Tree Data. Tally the trees and save the plot in TCruise. You can enter trees in a tally card or spreadsheet format, both of which have your species, products, and merchandising specs built in to them. Your products will be automatically assigned by dbh unless you override and assign them manually. Do It Again! After finishing your first plot, simply go back to SOLO Forest, select the next plot and keep going. Shapefiles are exported directly out of SOLO Forest, transferred to the PC, and then imported into ArcGIS or other GIS programs. TCruise plot data is also a simple copy/paste operation back on your PC. Process your cruise data using TCruise Desktop and then output standard customized reports. Your TCruise data can also be exported to an Access mdb that can be easily joined to your visited plot data in your GIS. SilvAssist 3.5 is a set of compelling GIS tools for managing forest inventory data, this solution helps forest managers to become more efficient by quickly providing information needed for critical business decisions. F4 Tech will offer a complimentary upgrade of version 3.5 for all SilvAssist 3.0 users. Plot Allocator: a flexible batch tool for creating cruise or sample grids in polygons (stands, management units, etc). SilvAssist Reports: using stands, plot and tree data loaded with Plot Loader, allows creation of standard reports through Crystal Reports and Excel pivot tables. Outputs can also be generated for specific client needs by strata or stand in Excel format using client stands and plot data. 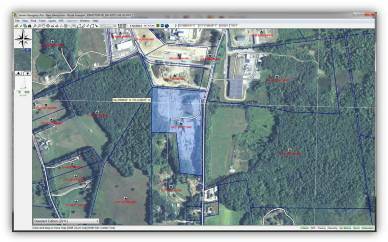 ArcPad 10 is a mobile field mapping and data collection software designed for GIS professionals. It includes advanced GIS and GPS capabilities for capturing, editing, and displaying geographic information quickly and efficiently. Critical data can be checked in and out of a multi-user or personal geodatabase and shared across your organization. Trimble Forestry SOLO Forest GIS mapping software offers functionality, flexibility and the latest computing technology—all in a package that’s compatible with virtually every GPS receiver and GIS file format. 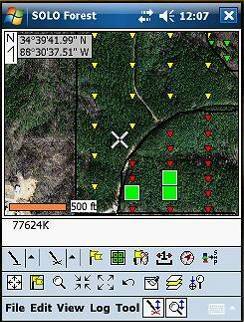 SOLO Forest lets you gather position and attribute data on a handheld computer such as the rugged Trimble Nomad, Trimble Recon or Trimble Ranger, or any other Windows Mobile device. 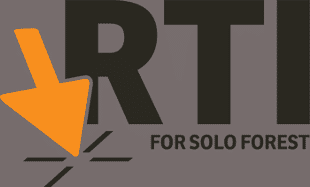 Best of all, SOLO Forest provides advanced features for advanced users while remaining easy to learn and operate. 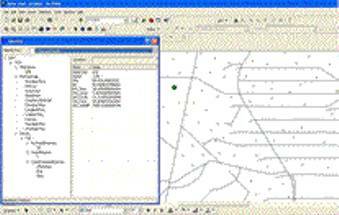 SOLO Forest offers utilities that would require extensive, custom programming with other mobile software, such as split/merge Polygon, feature buffering, and advanced laser mapping. The HOLUX RCV-3000 Wireless Bluetooth GPS Receiver is a great solution for forestry use when a high accuracy sub-meter unit isn’t required. It uses a 20 hour user-replaceable, rechargeable battery and includes a logging feature allowing up to 200,000 positions to be stored with its 4MB of internal memory. The advanced MTK chipset can track up to 66 parallel sats and has super-fast re-acquisition time. Wheteher mounted on a hat, shoulder pouch, or inside the Nomad extended cap it offers excellent tracking ability under heavy tree canopy. 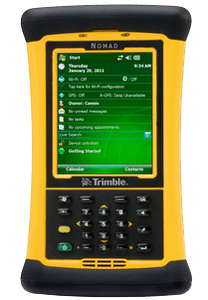 The Trimble Nomad outdoor rugged handheld computer is by far our best-selling field computer. The Nomad has power and capabilities to help you get the most out of your time in the field. The Nomad is extremely rugged, meeting rigourous MIL-STD-810F and IP67 standards for water and dust, yet is light and easy to carry. Featuring an 806 MHz processor, the Nomad also includes 128 MB of memeory, a long-life 5200 mAH lithium-ion (Li-Ion) battery, a daylight-readable full VGA display, intergrated Bluetooth, user-accessible CF and SDIO ports, plus I/O ports that include USB host/client and an audio jack. All units come standard with Windows Mobile 6 and are RoHS compliant. The Trimble Nomad comes with a 2 year standard warranty.